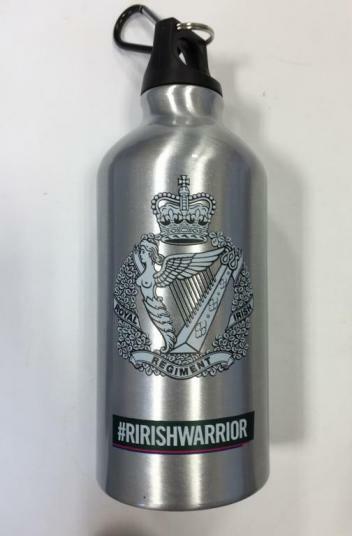 550ml Aluminium Sports Bottle with Royal Irish Regiment crest and branded with #ririshwarrior. Not suitable to be used with alcohol and warm liquids. Do not put in dish washer.